The day started with a presentation about the RCMA Group hold by Jeanpaul Hässig Head of Cotton Asia, Member of RCMA Group and Swiss Business Association Vietnam and his Team Daniel Ghilardi, Assistant Trader and Brett Edgz, Assistant Trader. He gave us some (deep) insights about the Business Modell of RCMA as well as the challenges in the market of buying, selling and distributing cotton all over the world. Soon after we continued by bus to the first textile fabric Hanosimex. Seeing the raw cotton being stored gave a first impression about the scale of the factory and the international maturity of the industry. 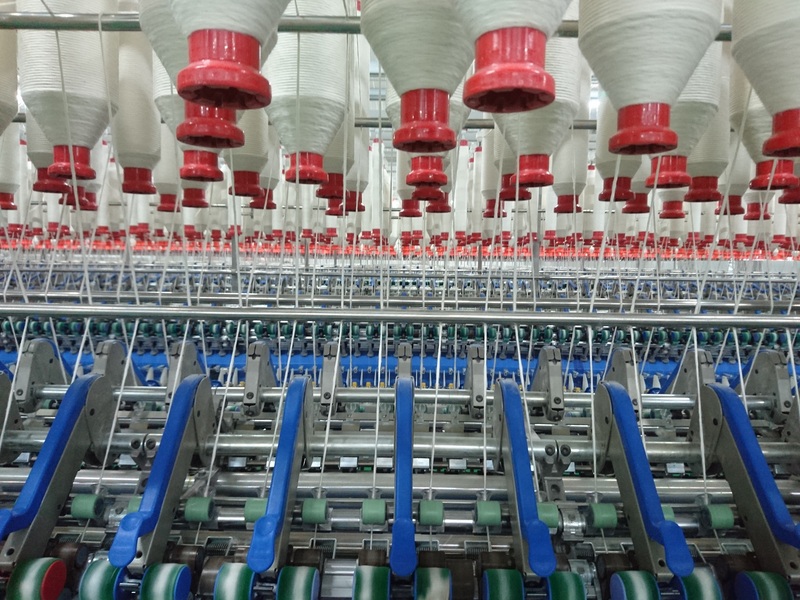 To further clean the cotton the factory installed the Uster Jossi Vision Shield machine which uses newest technology to precisely separate not wanted particles from the cotton. After that multiple 50-100m long lanes of machines converted fiber into yarn. At 11:00 o’clock we continued to the second textile fabric called Hanam where even longer machineparks were using the raw cotton to proceed them into yarn. Invited by the Hanam Company we had the chance to experience the Vietnamese kitchen. Pleasured by the variety of dishes we drove by bus to the next company Bao Minh. On the way to the company we passed rice fields, thousand of motorbikes, small stores rivers and palm ales. Pascal Regner Vice General Director at Bao Minh Textiles welcomed us warmly in his office with a short presentation about the industrial park and some facts and figures about the company itself. Beside the difficulty to organize the installation of all the machines coming from suppliers from all over the world in the factory, finding the labor is also one of the key factors that challenges a company who wants to establish itself in Vietnam. Not yet fully production ready we could see the modernity of the purchased and partially installed machines and especially the volume and potential of the factory in itself. Different than the factory Hanosimex and Hanam, Bao Minh is focused in using the yarn to fabricate and finish the textiles. An important role thereby takes the “Quality Assurance” departure. It uses technological and chemical processes to analyse the goods and reports findings so that the root of the errors can be spotted more easily. 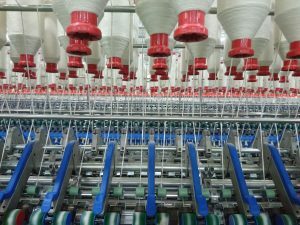 Seeing three such scaled up factories and the production methods awakes a greater awareness and the though towards the own consumption of fabrics. A thought which accompanied some of us on the long quieter two hour way back to the hotel.